This is a ongoing performing project pushed by visual artist Chai Mi, the show mixed different live art forms including dance based acts performances，Live visual and sound to create an ever-changing field of real-time occurrence, to show a rich plot and intentions. The live visuals coming from a large number of animal images captured from Europe, America and China and other places, and images of human beings living space. By using VJing technique，those video clips will be mixed and presented on real-time by Chai Mi. At the same time contemporary dance artist will interact with the projected image, by using body language he or she will present a series of emotional expression, such as curious, lazy, bored, lonely, fear, angry, mad, numbness, and helplessness. This creation of illusion in real space, is intent to explore a variety of potential relationship between the people and animals, creatures and the environment. This performance project can be appropriately modified according to the venue. 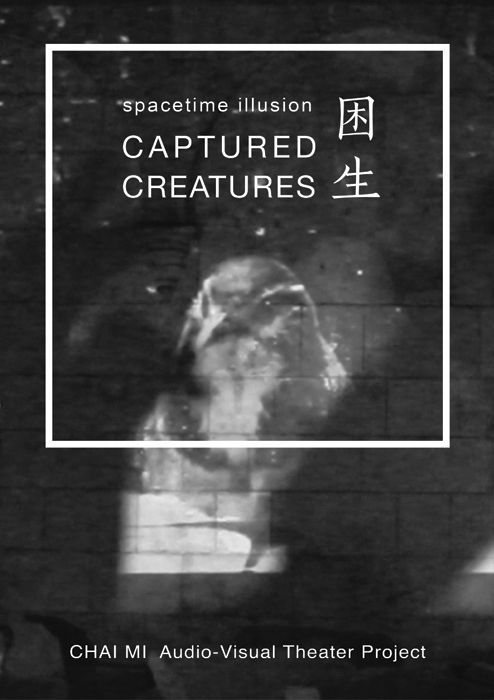 Captured Creatures_ Space.Toccata_Tailer from Chai Mi on Vimeo. © 2018 Chai Mi, all rights reserved.